Ask anyone involved with the MGP or TT to recommend an approachable, reliable "go to" guy, be it for some historical knowledge of mountain course events, including results and other statistics, or for some help learning the circuit itself, and the name Barry wood is most likely to be your answer. A born and bred Manxman, and proud to be so, Barry had a mountain course career spanning 3 decades, first lining up on Glencrutchery Road as a newcomer in 1988, and bowing out in 2007, after almost 20 years of competition which saw him visit the winners enclosure on many occasions, being particularly successful on the classic machines, but also no stranger to the podium on the modern stuff either. Whether mounted on a classic bike, a Grand Prix 250, or an unpredictable 1000cc superbike, no-one showed more enthusiasm and commitment, or rode harder than Barry Wood. TTwebsite recently caught up with the unassuming Willaston man for a pint of Okells and a chat. Q: Who has had the most influence on your life and why ? 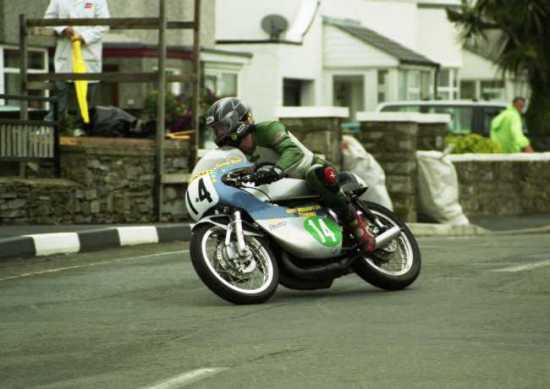 A: If we are talking about racing, it has to be an Irish rider called Pat McGlaughlin, when I was in my late teens Pat used to stay with us during the MGP & Southern 100, he also used our friend Phil Quayle's garage up the road to work on his race bikes, Pat was a great fella, a true grass roots, hard living, hard riding Irish racer, and a great character. In those days I was a keen helper, doing the fetching and carrying jobs for him and the rest of his gang. This involvement with Pat and the boys was a huge influence in my formative years as a budding racer, and my ultimate decision to race the roads. Sadly Pat lost his life at the North West 200 in 1986, and as a family we all really felt his loss, it hit us really hard. Q: Who are your heroes inside & outside of racing? A: Ray McCullough. As a young lad I first watched Ray in action in 1971 at the Southern 100, and I listened to the commentary at the Ulster Grand Prix that same year when he was involved in a titanic scrap with Phil Read, before going on to win the race, beating the worlds top GP riders. 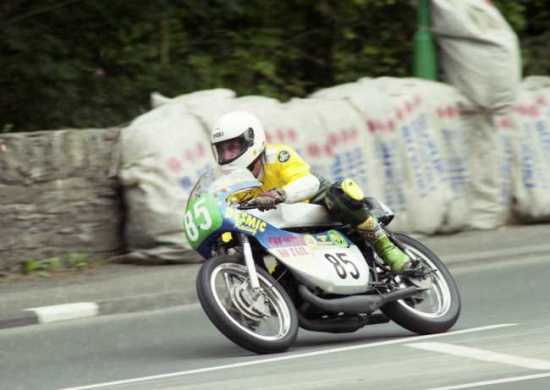 Ray was an incredible rider who went on to rule the Irish roads on the two strokes for many years. He was the rider who all the budding roads guys looked up to and aspired to beat, including a young Joey Dunlop. I always say that Joey served his apprenticeship on the roads in Raymond's wheel tracks. Q: If you could invite three people to dinner,(Alive or Dead), who would they be and why would you invite them ? A: Sandy Denny, my favourite female singer, and vocalist of Fairport Convention folk rock band, Sandy died at a very young age, with so much still left to do. Mona Douglas, an early Manx Nationalist and historian, it would be great to discuss Manx history and our heritage. .plus he could have bought me a Guinness!! Q: What is the biggest lesson you have learned in life so far ? I think racing as a privateer, for so many years, made me quite selfish and determined, to the detriment of relationships, and I will never change now! Q: What is your biggest pet peeve ? A: People eating raw onions near me, or onion bhaji's and the like, I have real hatred of onions, the smell and even the sound of them being crunched or peeled is like the crack of a whip!! Q: What's the craziest thing you've ever done ? Q: What's the hardest thing you have ever done ? 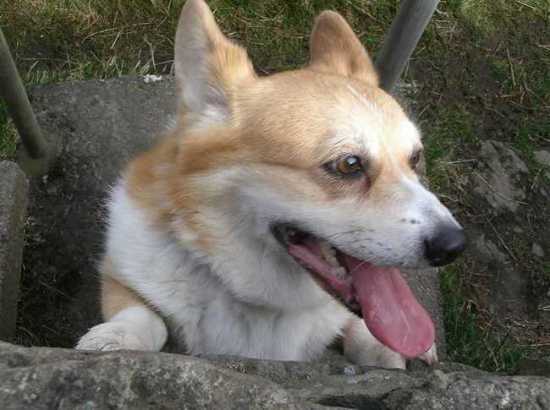 A: As a dog lover, the hardest thing I've ever had to do was to have my 2 previous beloved Corgi's put to sleep, I have had Corgi's for over 40 years, and my current one, Milo, is a great character, and well known around the paddock at the Manx and Southern 100. Q: What are the 3 best words to describe you ? Q: Do you have any hidden talents ? A: I have a fair grasp of the Manx language, I used to be pretty much fluent in my younger days, but haven't practiced as much in recent years owing to my work, and sadly a lot of it has got away. Q: What do you do outside of Motorcycle Racing ? A: I work around 70 hours per week as a full time taxi driver, so not much leisure time, I like to spend my time walking my dog, and having a few pints of real ale on a Saturday night, I also like to check out live rock bands when I get chance, plus I can talk all day and all night about the TT, MGP and Southern 100. Q: Did you make your own choice to get into Motorcycle Racing, or was there some other "force" that made you make that decision ? A: You could say I was literally born into it, I was born at the end of MGP practice week in 1963, and mum discharged herself 2 days later and took me along to Governors bridge to watch the Junior MGP, so racing myself some day was inevitable!! Q: In relation to the Question above, did you have to earn your own spurs so to speak, or was there anyone else who helped you out with whatever bikes you needed etc ? A: Every penny I earned went into racing, I had very little financial help, other than friends and family who did what they could with things like collection bottles in the local pub, and a group of locals who were just working lads but used to literally pool their loose change all year to put together a small donation to present to a local rider at each MGP, they gave me a few quid on more than one occasion which was greatly appreciated, and I did have two or three very good sponsors who I am deeply indebted to. Q: When you moved up to the TT, did you find the amateur and professional approaches of the MGP and the TT so very much different to contend with ? A: Definitely, the TT paddock is a different place altogether, larger budgets, and I'm sorry to say larger ego's, whereas there is so much camaraderie at the MGP. Q: Who do you think was your biggest rival in your racing career ? A: Well I suppose Bud Jackson, we had many battles on the classic bikes, and it could always go one way or the other with Bud, we were closely matched, it was a case of who got it together best on the day. Q: What is your most memorable moment in your Racing career ? A: My first Classic MGP win on the little Suzuki in 1999, I had been trailing Roy Richardson for the entire race, Roy started to slow a little with a problem, but he was still ahead going into the last lap, but by a much reduced margin, soon after I got a P1 board, and it was a case of bringing it home and not doing anything silly. Q: What has been your worst moment in Racing ? 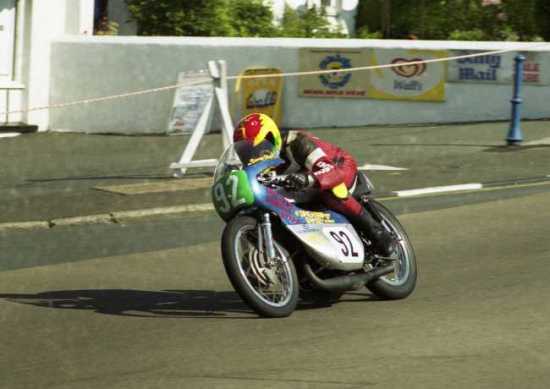 A: Skerries in 1995, I was already completely out of money before the meeting started, and then my 250 fired its gearbox out of the cases, I remember looking at this heap of smashed bits in the road and wanting to cry, the Southern 100 was the following week, and the MGP not long after that, I took a week off work on the sick and worked solidly with the help of some good friends, I was back on the grid at Billown!! Q: What made you call it a day from the racing, What was the prime reason behind this ? A: Following a high speed get-off at the 11th Milestone in the 2006 Superbike TT, I somehow managed to get back out in 2007, with all-new leathers, boots, gloves etc, it cost me six grand to repair the bike, unfortunately first night out I was involved in a freak crash at the Waterworks, when myself and the bike went straight over the wall, I suffered serious upper body injuries, but more significantly I had broken my back again, for the third time. Q: How many times have you set off down Glencrutchery in race mode. A: Well, despite my statistical memory, I don't actually keep a count of my own!! so whatever 18 years worth equals? Q: What in your opinion has changed the most on the Course since you first raced there ? A: I never really got to try the changes to Brandish as I only went through there a couple of times before my accident in 2007, but certainly the changes they made to Windy Corner made a difference, it meant that the bike spent more time on its side through the revised corner, and therefore was at the mercy of the wind for longer. They also made a small detail change to Glen Duff, this consisted of replacing the long white lines in the centre of the road with short ones, this doesn't sound like a major change but it did make a difference to orientation through there at high speed. Greeba Bridge used to have 2 sets of black and white kerb markings, and I used to teach people to roll off at the first set, peel off at the second set, in subsequent years the black and whites were changed around, so that approach didn't work any more, having said that, due to 'cut backs' lots of the black and white markings go un-painted these days..
Q: What in your opinion has changed the most about the TT and MGP since you first raced there ? A: The MGP has been forced by the ACU to reduce its entry size in recent years, so there are now less entries available, and it seems the recruitment of newcomers is more focussed on youngsters, at the expense of older newcomers who will often have more actual racing experience and wiser heads, I don't really think this is the way to go.